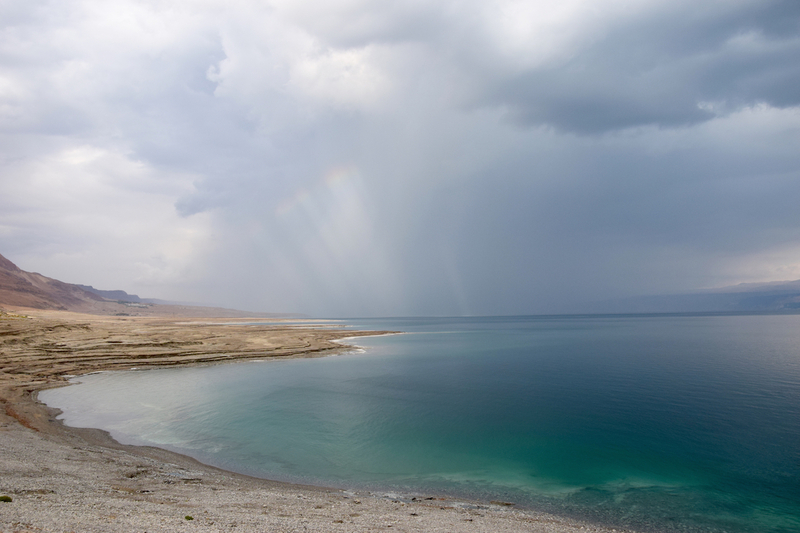 The Dead Sea is a unique place to visit and take photographs. I drove down with a friend to Nahal Kedem where there are natural hot springs that bubble out of the ground and flow down to the Dead Sea. This photo was taken in the early afternoon, on an overcast day, there’s even a hint of a rainbow. This is one of my photographs on display at the group exhibit at Ginot Ha’Ir, German Colony, Jerusalem during February. You are invited to the opening on Thursday evening from 7-9pm, February 4th, 2016. The technical details – the photo was taken with a Nikon 5300 DSLR camera in December 2015 (ISO 400, 18mm, F10 at 1/320 sec).